Amid signs that the next mining and resources construction boom might be some time away and a slowing of the residential construction market, many analysts and policy makers are asking where the next phase of Australian economic growth will come from. Although the Australian economy continues to grow, in part because of the deregulation and other policy measures instituted several decades ago, it is clear there will need to be new engines of growth if we are to ensure our 27-year run of economic prosperity is to continue. For many, infrastructure is the answer. Large-scale projects, public and private, dotted around the country are emerging as key drivers of the Australian economy for the next decade and beyond. 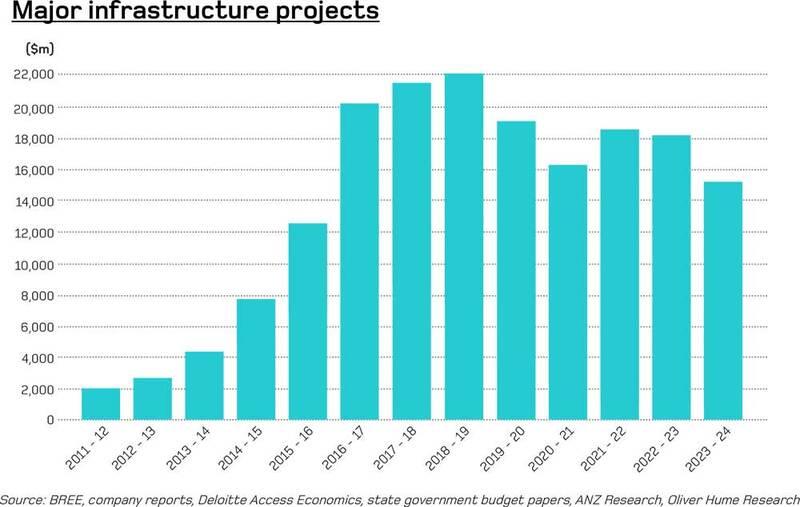 Indeed, some analysts are suggesting that new infrastructure spending could be comparable, if not larger, than the wave that underpinned the last mining investment boom. A large nation-building infrastructure investment program has the potential to not only drive employment and wages growth, company profits and consumer spending, but will change the face of our cities and towns and shape the nation for decades to come. The drivers of the next wave of infrastructure investment are the happy confluence of a range of factors. Firstly, our population is growing at record levels with more than 25 million people now populating our vast continent. Secondly, building infrastructure might become better value. Although the growing infrastructure pipeline places upward pressure on costs, wage growth and other cost increases remain relatively subdued to date. In addition, residential construction activity is also expected to slow helping to alleviate some of the cost pressures. Thirdly, although global interest rates are now above recent record lows, they remain historically low. This represents an opportunity to fund infrastructure at a lower cost than would otherwise be the case. Finally, Federal, State and Local Governments are feeling the pressure from constituents and beginning to address the infrastructure ‘bottlenecks’ that hinder commerce and productivity. So where will all the money be spent? Thankfully, the investment will be spread across different parts and sectors of the economy, not just isolated to a few cities or regional centres as has been the case often in the past. Transport infrastructure such as freight routes, ports, traffic tunnels and rail lines and stations are expected to receive tens of billions of dollars of upgrades and new investment over the next couple of decades. Energy will also be a significant component as is the roll-out of the NBN. Health and education, two of the largest and fastest growing industry sectors, are expected to see increased infrastructure investment going forward. With continued affluence and affordability driving demand from both domestic and international holidaymakers and business travellers, airport and related infrastructure investment continues to grow. All capital city airports have significant capital expenditure plans going forward including for new or refurbished terminals and other related facilities including hotels and business parks. Sydney’s new Badgery’s Creek airport is one of the biggest projects in Australian history and will generate thousands of jobs during construction and operation. The infrastructure investment boom is broad-based with all jurisdictions participating to various degrees. States such as Victoria which have seen record population growth are expected to be amongst the leaders. For example, the Victorian Government recently announced a $50 billion suburban rail loop, due for completion in 2050, designed to connect Melbourne’s major train line. The Victorian State Opposition also recently announced a $19 billion upgrading of the regional rail network which would reduce travel times between Melbourne and regional centres. Projects of national and state-wide, which have been discussed for some time, are now being delivered. For example, Brisbane’s $5.4 billion Cross River Rail project is to be funded by the Queensland Government with potential funding to also come from the private sector via a public-private partnership. The 10.2 kilometre project, which also includes a 5.9-kilometre twin tunnel under the Brisbane river and CBD, will also drive the redevelopment of Woolloongabba and the Roma Street transit station and link to the $944 million Metro project. Between public and private projects, the Queensland capital is expected to undergo a $17 billion transformation over the next decade. High levels of infrastructure investment are only one component of the nearly $120 billion in the work in the pipeline which includes engineering construction (excluding mining), housing and commercial property construction. In terms of work yet to be done, engineering construction is now the largest component (driven mainly by road and rail construction now underway). The high level of construction investment is one reason construction sector employment has grown significantly. The delivery of new infrastructure on the scale anticipated is not without its challenges. Financing new infrastructure can often be amongst the most challenging tasks. A growing economy will help but ultimately public spending on infrastructure only comes from one of two places; higher taxes or more debt. Many of the nation-shaping projects planned will also require complex planning and funding arrangements that require cooperation between different levels of government (and private sector expertise) to realise the benefits. 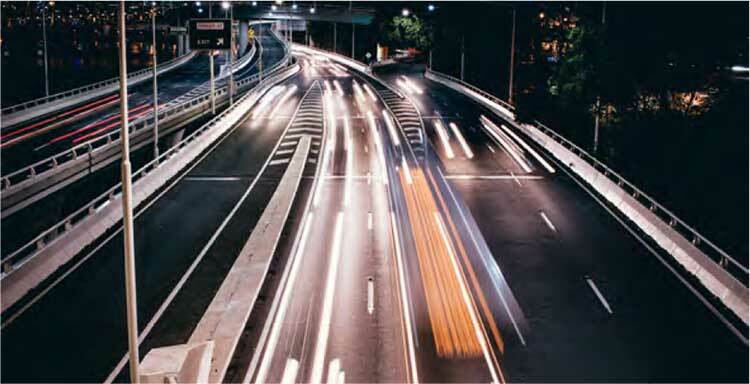 It is encouraging to see Federal and State Government funding for Badgerys Creek and, in Victoria, the North East Link road and Melbourne Airport rail. The public will also have to accept that for all the long-term benefits infrastructure brings, there are always inevitable short term challenges and frustrations. So next time you are sitting in a traffic jam, late for work, remember the big picture and the prosperity we will all enjoy once they finish digging the hole in the road.